Another two days testing completes Geri's pre-season testing - 5 days in all with 4 of them spread over this week. 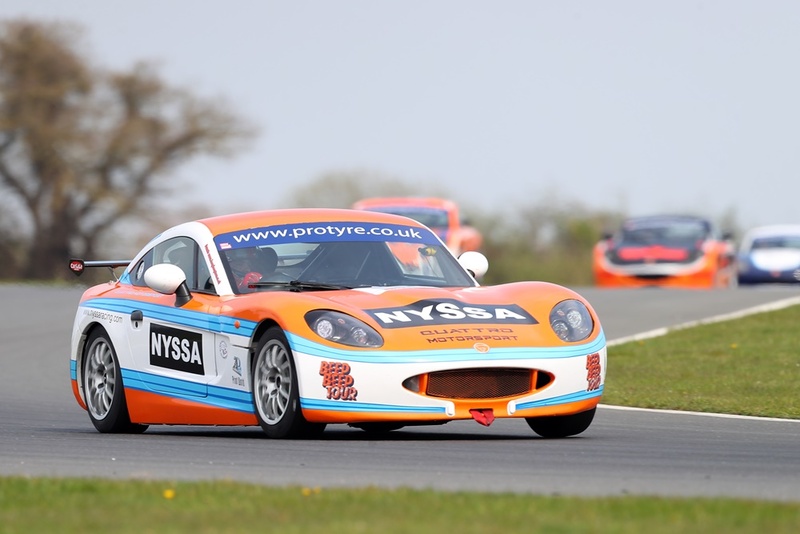 Surely the most comprehensive pre-season testing we have done, even if it pales into insignificance compared to many of our competitors over the years. Thursday was spent on a track day on the Silverstone GP circuit, and while we covered a massive 306 track miles, being a track day, there was no hope of a clear lap and we didn't get within 4 seconds of a competitive time. Nonetheless the track day was invaluable and Geri was able to try different things at different places and then refer back to data to see what worked and what didn't. 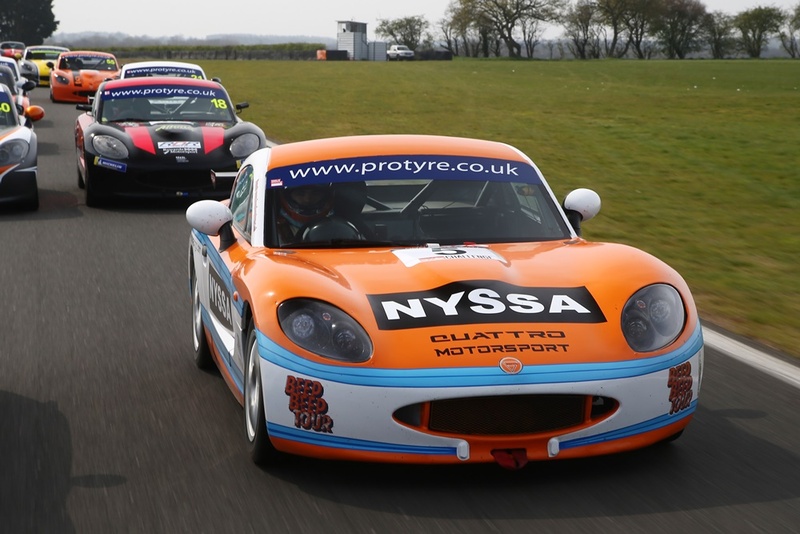 Friday was a test day at Donington - the GT Cup was running that weekend, so there was an ecletic mix of cars out on track. 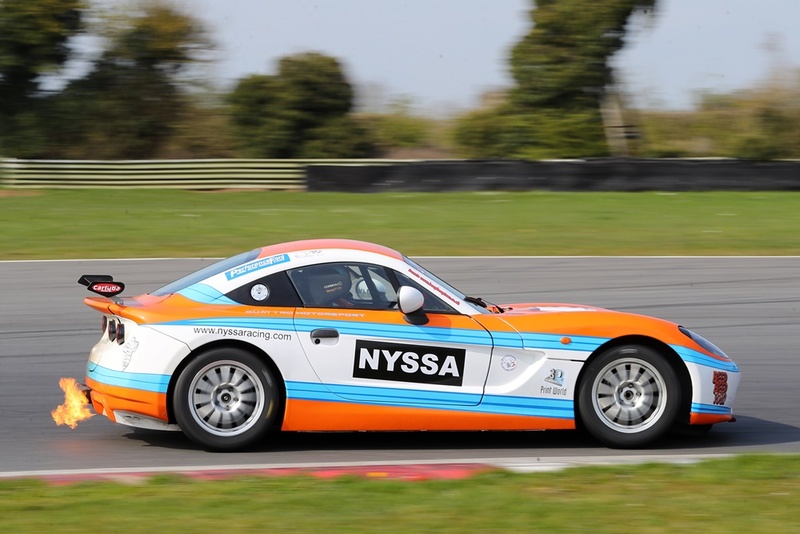 Strangely most were slower that a GT5, barring the GT3 McLaren which was circulating in the afternoon. Being a test day, what traffic there was mostly could be passed without losing too much time, and there was plenty of opportunity to get clear laps. We basically lost the first session, an early red flag saw Geri come in to pit lane and then find an issue with the clutch. Sterling work by the Quattro team saw gearbox out and the car up and running just in time for session 2 - very impressive. Once back out on track Geri was able to get some serious laps in. A few more tweaks here and there to get the car at his best led Geri to respond with a string of laps much faster than when we tested the National circuit last September. The car feels like it is quicker than it was on Tuesday, so we approach the first round of the season next week with optimism. The day was divided into 4 sessions, the second included the on track panning shots by the photographer - see the photos below: There were also more than a few red flags during the day, including one where a driver hit the outside wall even before the pit land exit had ended!. Geri dominated the two morning sessions, the first session being run on tyres that had done a track day at Snetterton the day before, another at Oulton last month, and were second hand before that! We then bolted on a set of new tyres for session two. Atter lunch didn't go so well, a red flag straight away cost the first part of the sessiion, then just as Geri had posted his first clear lap, a driveshaft broke as he rounded Riches leaving Geri no choice but to park up on the inside after Montreal and wait for the session to end so he could be recovered. For the final session, a setup change was changed that seemed not to work - the times were slower even though the data suggested the driving was the same. Some of the tiimes in the final sessions seemed a lot quicker than we could go, but test days don't require cars to comply to ride height and minimum weight rules. Whether we have seen some gamesmanship, or whether we might be off the pace after all will become evident once the season starts for real. All the timing data from TSL can be found here. 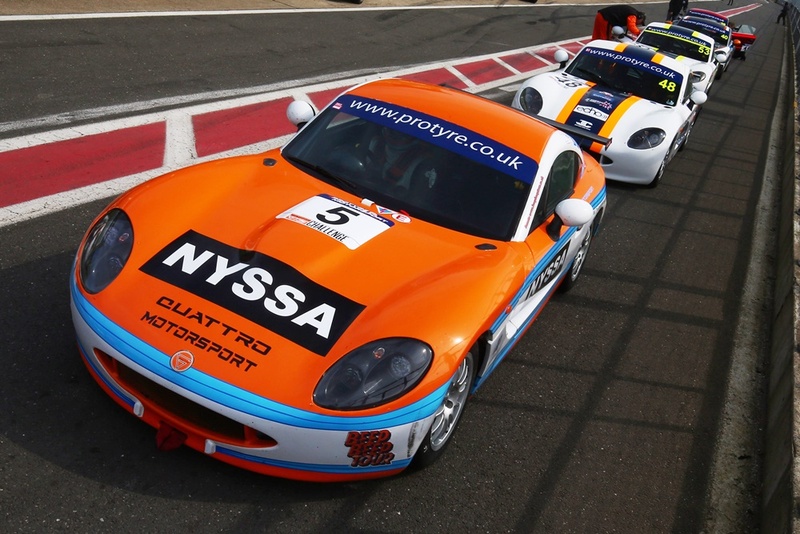 It's official - Geri will be entering the Ginetta GT5 Challenge for the full season with Quattro Motorsport. 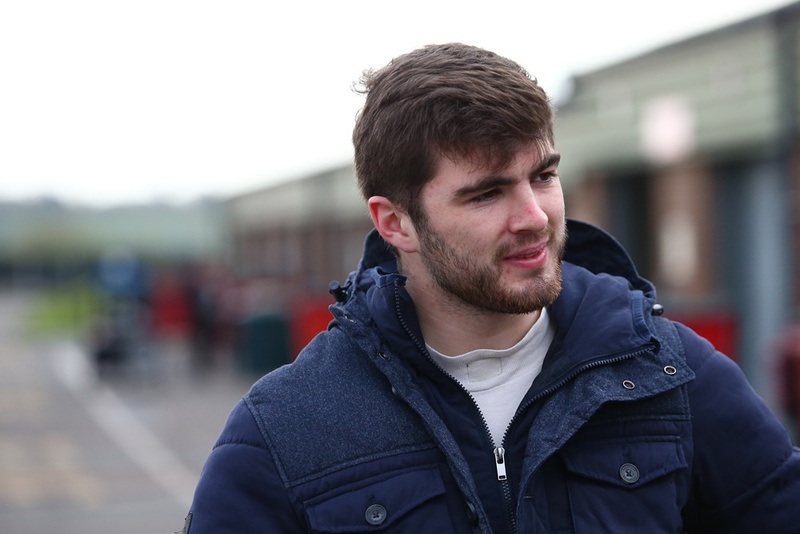 After winning 3 of 4 GT5 races in 2017, and then coming 3rd overall in 2018, Geri has been in demand with offers from most of the BTCC Support categories and British GT. Geri said "We've had some good offers but the guys at Quattro put a package together that works from both a budget and competiveness perspective. We came 3rd last year with some successes and some disappointing results, we will be looking to hit the ground running this year and aim for the front". 08/03/2019: First test of the season, a shakedown run with Quattro Motorsport at Oulton Park. We tried to stay incognito - the car running in virgin white before we release the actual livery on 8th Aprl. Aside from the team bringing 4 cars, two GT5 and two G40 Cup, there was only one other GT5 present so we couldn't get much of a feel for how we were doing. Also, it was a track day so although we have data logging, we barely got in a clear sector let alone a clear lap. On the plus side we got in some damp testing and some dry testing and have found any small issues with the car nice and early.